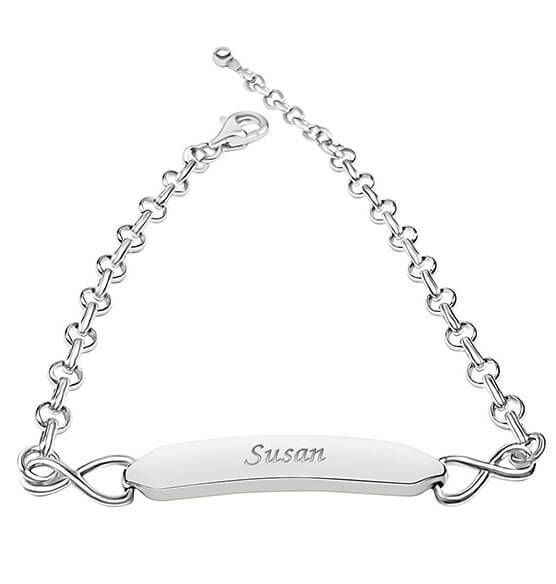 Personalized Sterling Silver ID Bracelet with Infinity Sides artfully displays sleek name plate. This sleek, stylish bracelet can be personalized, making it a beautiful gift for someone special or to wear in remembrance of someone you'll love forever. Specify name.